Election day cookies from Brown Eyed Baker are a political treat. 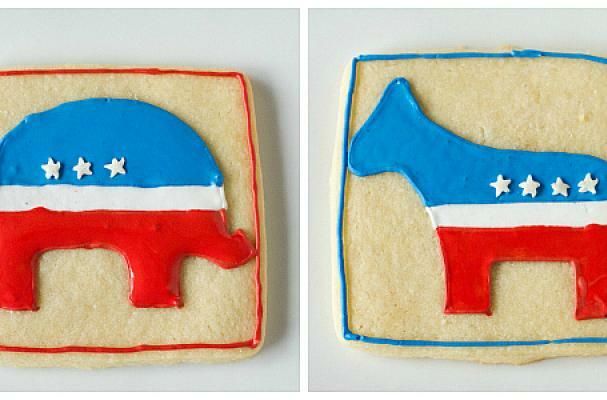 Soft and chewy sugar cookies are decorated with both the Republican elephant and Democratic donkey using royal icing. To create the detailed shapes, you will first need to create an outline with the royal icing before "filling" them in. If you are planning on throwing an election party, you can customize the cookies to align with your political party. For full recipe instruction, click here.